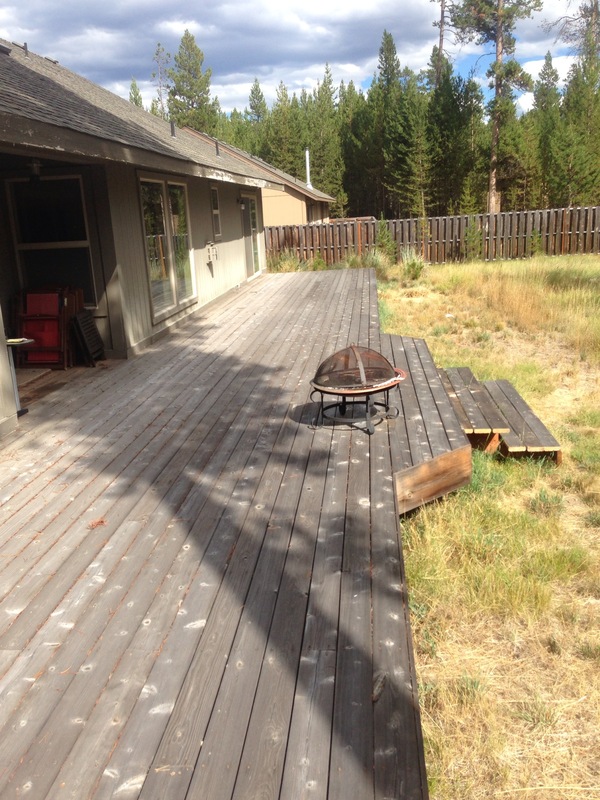 Refinishing a deck is the process of taking an old weathered deck and bringing it back to a like-new condition. There are two generally accepted methods of refinishing a deck: chemical strippers and brighteners, and sanding. One option may leave you poisoned, and the other may leave your knees and back broken. A lot of companies out there use this method. Not only are these processes hard on a deck, but they are also pretty hard on the environment, not to mention all the water that gets wasted through numerous stages of washing (typically 4-6 rounds of power washing). When pressure washers are used for removing gray, discolored areas of decks, the soft wood particles between the wood grains washes away and what's left is a ribbed, splintered deck. Watch out for slivers... You usually end up to having to sand areas to remove burrs in the wood, and the result is typically far from great. This method is far superior when needing to start over with a deck. It will remove a small layer of the old, gray wood and when done correctly you will have a very nice even appearance. Typically it doesn’t have the same “reach” as the chemical method, meaning edges up against siding, stairs, and rails are often skipped because they are difficult to sand. The sanding dust does create a large mess and often times when done incorrectly the finished product doesn’t last very long (6-12 months). Feel free to ask us why during our deck consultation. The third option we propose, is calling the Deck Team. Our process of refinishing uses a combination of sanding and light washing with non-toxic neutralizers. First we check that all your deck screws are properly secured. Then through specially procured equipment, tuned specifically for refinishing decks, we’re able to completely sand a deck, including around all edges and nooks, dust-free. And we mean all areas. This includes against all siding, underneath and around benches, hard to reach corners on steps, and hand rail tops. It’s way too common to see decks where all these areas were skipped! We then use a proprietary blend of non-toxic wood cleaners to remove any remaining dust from the surface, restore proper pH levels, and to open the wood cells up to receive stain once the deck has dried. 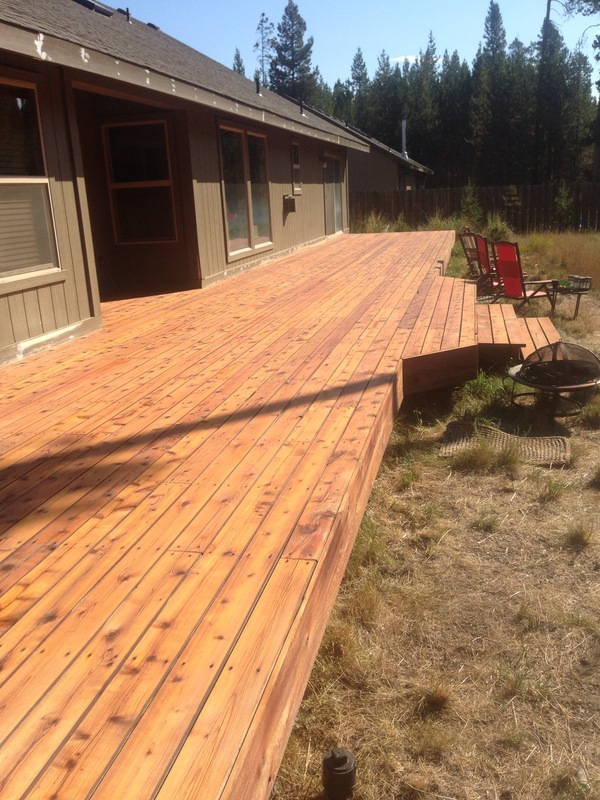 This process of refinishing has been tweaked and tested over 8 years and countless decks. In our opinion, there is nothing more that can be done to better prepare a deck surface. All that’s left is the precise application of stain- not too much and not too little. Anyone with a deck has seen what happens when you apply too much stain. You get those shiny, sticky areas that never seem to dry. You know, the ones that collect dirt, pollen, and pet hair like a lint roller? Seriously unacceptable in our opinion. When we’re done, we properly dispose of all stain rags and masking materials. Fire hazards are no joke in Central Oregon, and we never take them lightly. Then the furniture gets put back in place and you’re set to enjoy another summer on your beautiful natural wood deck. Got questions? 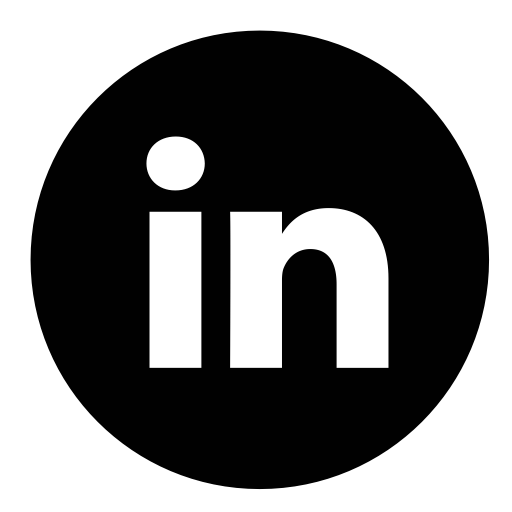 Check out our FAQ page or give the Deck Team a call. Ready for a maintenance coat? Check out the Deck Maintenance page and schedule your free inspection today. Curious about Trex decking and other composite materials? Check out our Carpentry section. 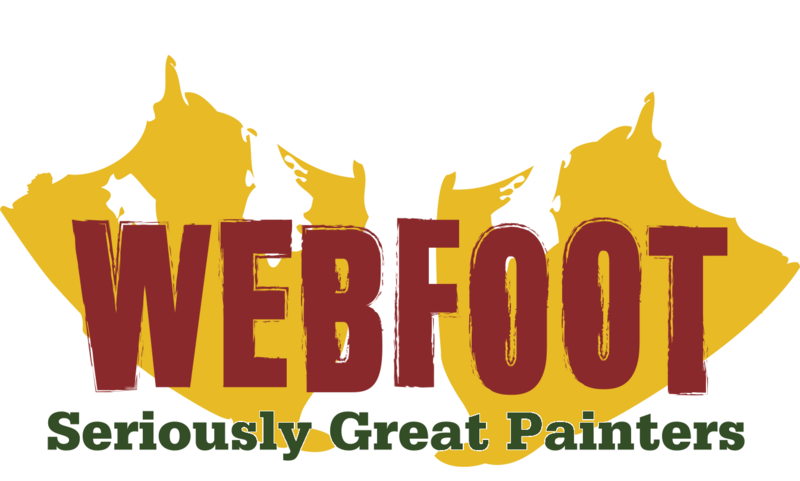 Webfoot is a TrexPro Platinum installer. 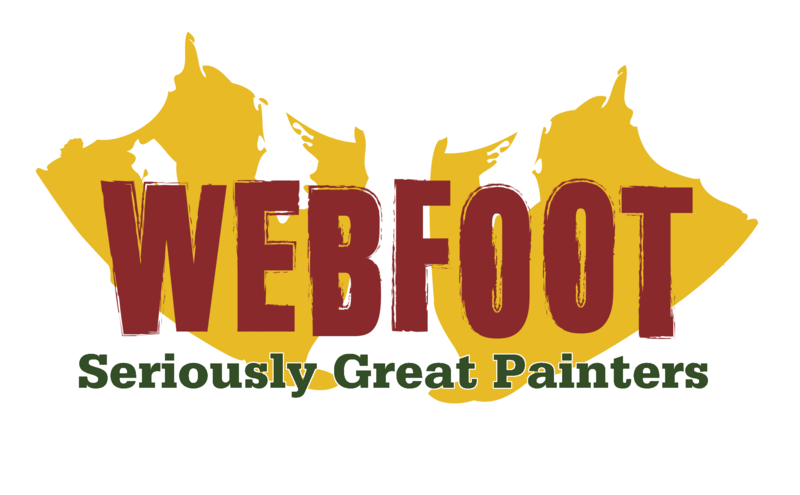 BEND, Ore., April 28, 2015 – The Bend Chamber of Commerce recognized Webfoot Painting Co. as Large Business of the Year at its 26th annual SAGE Awards. The SAGE (Star Awards for Greatness and Excellence) signature awards program celebrates the efforts and successes of local businesses and organizations.